From Air Masters Systems to Thermo Scientific and every manufacturer between, there are a lot of companies that produce fume hoods. Some companies specialize in specific industries (e.g. education). While others offer products across many industries (e.g. Life Science, R&D, Forensic, Pharmaceutical, etc.). Many fume hoods are custom designed and integrated into a larger, more complex plan of a laboratory design. Providing the user a myriad of selections and options. With all these choices, purchasing a fume hood can be difficult. But the top fume hood brand on the market is Fisher American. 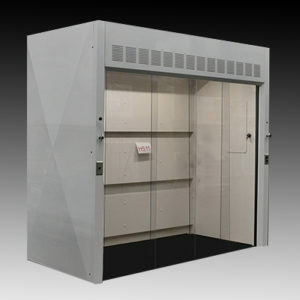 Fisher American designs, engineers, and manufactures fume hoods for nearly every lab application. From small specialty hoods that are designed for specific chemicals use or size restrictions. 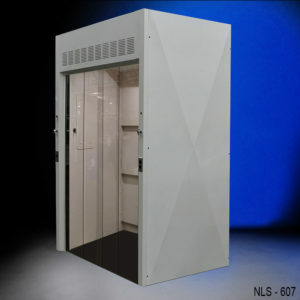 To large custom designed hoods for unique applications. Fisher American products will meet the challenges presented to today’s laboratory professionals. Designed by engineers who are experts in designing containment enclosures, Fisher American fume hoods meet specific applications and stringent safety regulations. These hoods are evaluated in controlled environments to test actual fume hood performance and have also been measured to be in compliance with industry standards. Building off the reputation of Fisher American, their fume hoods combine a safe, energy efficient design with many user-friendly features that are accompanied by various options. Custom designed fume hoods are very common to meet unique demands. And Fisher American can add any requested feature to their products to meet the needs of the laboratory and still provide excellent appearance and durability. They are also competitively priced within in the fume hood market. Like any product, custom accessories and add-ons will affect the price. But for a fume hood with standard options, Fisher American has consistently produced products that are affordable. Laboratories are always requested to do more with fewer resources. Fisher American recognizes this and is focused on keeping their high-quality products, affordable. National Laboratory Sales is the exclusive distributor of Fisher American fume hoods. They offer a one-stop shopping experience for laboratory professionals by offering fume hood and casework products. From their remarkable selection of products, their design specialists can craft a laboratory to meet the growing demands of laboratory personnel. And because they possess an expansive inventory, these products are on-hand and can be shipped quickly, in most cases, less than two weeks. Contact National Laboratory Sales to learn more about their inventory of top brands for both fume hoods and casework.